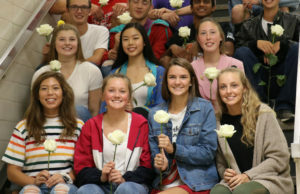 At the start of the homecoming week, 15 students, including members of the homecoming court and a star on the football team were suspended last week for involvement with vandalism that occurred at the high school. Last Sunday, an unknown number of vandals struck Cedar Falls High School with spray paint, syrup, hay and walnuts. Shortly after, the school’s administration was vigorously involved in an investigation of the vandals. Some of the students involved in the incident estimated that about 30 students were involved in the vandalism. In the process of investigating the act, the administration interviewed more than 25 students. The interviews brought about roughly 15 suspensions. 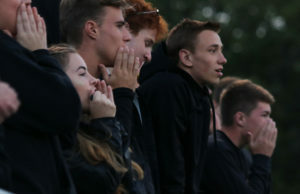 Punishments for all students included a multiple-day suspension from school including the remainder of homecoming week and all activities associated with homecoming. One of those suspended was Student Body President Pet McElligott. In addition to the other punishments, he was removed from the homecoming court and from a portion of his role in the upcoming fall play. 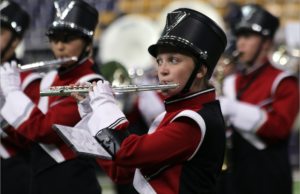 Many have questioned the discrepancy in punishments, but the difference can be attributed to the district’s Good Conduct Policy. Although over a dozen students were suspended, more were involved that have not been implicated, and this has brought up the question of why those who confessed should suffer the consequences for their actions.